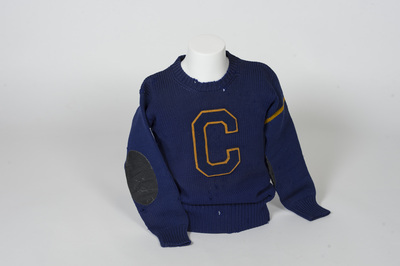 This football letter sweater was earned by Paul Rife (Class of 1935 Vice-President) during the 1931 football season. He donated it to Cedarville College in January 1984. 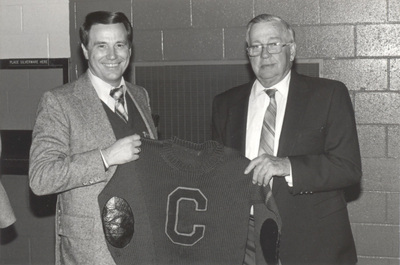 Paul Rife presenting the sweater to Paul Dixon in 1984. To view and download this image, click here.